Looking out on a freezing London spring my mind drifts back to a day spent with my great friend, supporter and talented artist, David Apps , taking photos for the album cover of Little Big Head. It was a cold day, then as now, and I had the bright idea of taking snaps on the Thames Clipper, a fleet of boats which pass up and down the River Thames, through the heart of London, as part of the public transport system. If you visit London the Clipper is the best few pounds you can spend. First take the Docklands Light Railway from Bank to Greenwich. This is pronounced grenitch in that illogical way that Londoners invented purely to mystify American tourists -see also Marylebone, pronounced marlibone with no Mary in it, and Madame Tussaud’s, pronounced two swords. At Greenwich wander round this historic oasis of old world charm, a rare South London survivor from the ravages of WW2, and then past the Cutty Sark, a preserved tea ship which looks like it ran aground from The Pirates of the Caribbean. From there you’ll reach Greenwich Pier and can alight the clipper in the direction of Embankment, to partake of the best near free show in London. The Thames viewed from the river is magnificent. Best seen at night, some inspirational lighting shows off such treasures as The Tower of London, Tower Bridge, Shakespeare’s Globe Theatre, and a host of other beauties too numerous to mention. “Riding on the Clipper”: it was cold! Much to the curiosity and amusement of passing tourists (“who are you?”, “What are you doing this for?”, “I love your shoes!”) Dave and I took some snaps around Greenwich, The National Theatre, and on the clipper. But the best was reserved for the jetty at Embankment. At that casting off point on a Saturday, party boats galore take gangs of Hen Parties and Stag Dos off down the river for bacchanalian nights of drunken reverie. At about 7pm the evening had not yet started so hens were not yet mingled with stags. Rather the two were in separate groups, eyeing each other from their own territory, the boys drinking cans of beer and the girls laughing as they waited for the boat. We took some shots but by this time I was frozen right through to my eyes. Shivering by the water, we called it a day and strolled across Trafalgar Square and up St Martin’s Lane to The 12 Bar Club in Denmark Street, previous centre of London’s Music Land. Most of Denmark Street has now been redeveloped and certainly the 12 Bar is no more. Back then it was a dark refuge for London’s rockers and home to the highest, smallest and therefore easiest to fall off stage in the world. And so I thought: “I can’t call another city home” a line which stuck with me and grew into the song “Another City” on “The Difficult Second Album”. 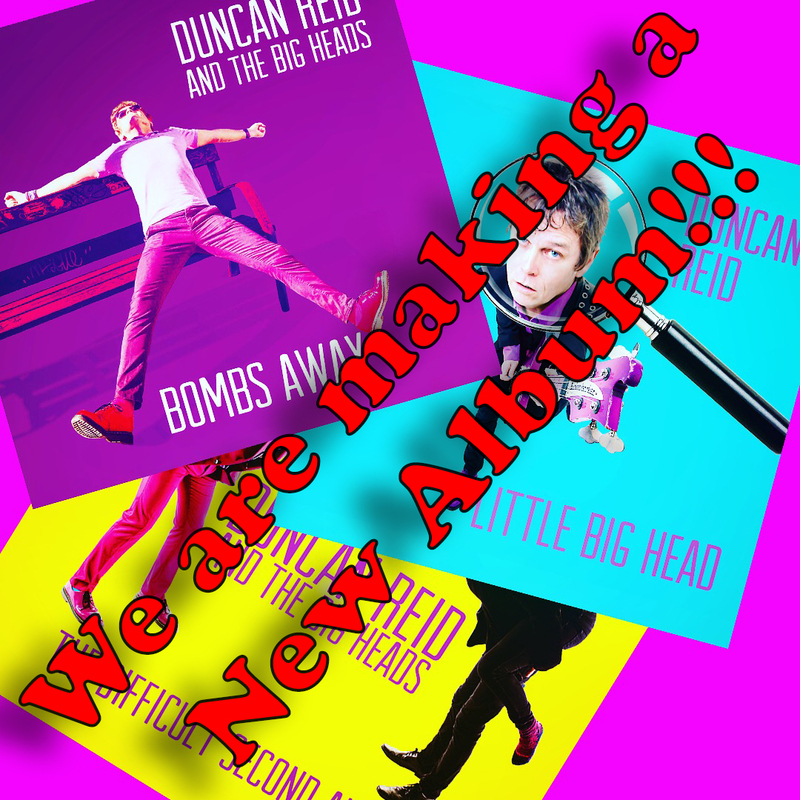 Posted on April 5, 2018 April 6, 2018 by Duncan Reid and the Big HeadsPosted in SongsTagged Another City, Duncan Reid and the Big Heads, The Boys, The Difficult 2nd Album. Next Next post: A Splattered Classic!